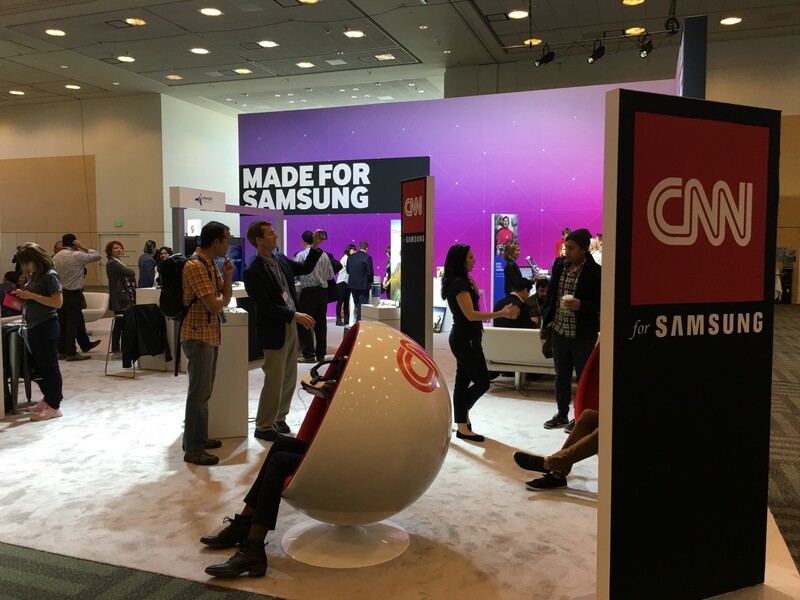 What’s Happenin’ at the Samsung Developer’s Conference | Industry Analysts, Inc.
Samsung is currently holding their global developer’s conference in San Francisco. This was the first time I’ve attended and it gave me a pretty high level view of the South Korean technology giant and what they’re up to outside of my little world of print. I’ve been to other developer conferences before but never one of this magnitude. 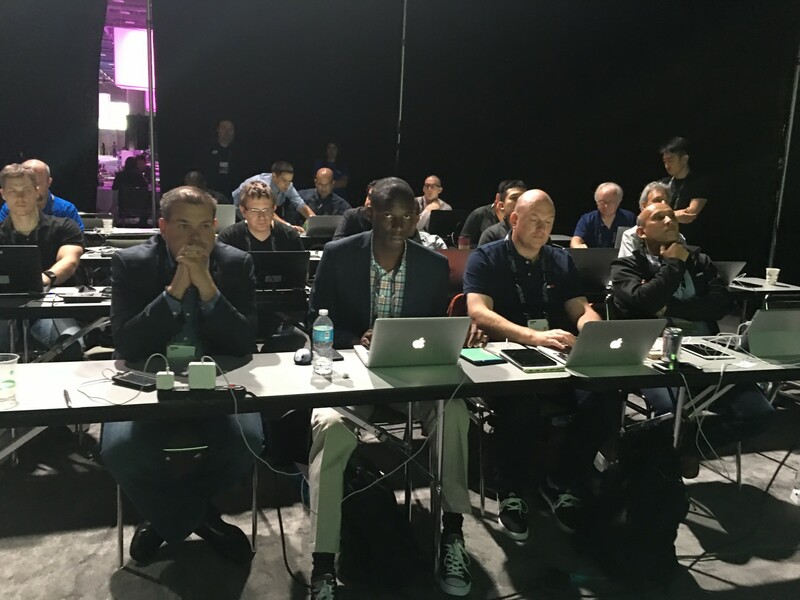 Over 4,000 developers from all over the world are meeting for 3 days of networking, breakout sessions and to see What’s Happenin’ with Samsung’s app development program. This was not just print. In fact, while print was well represented, it was just one small part of an enormous pie. Not to diminish what Samsung is doing in print, but they’re literally into just about anything that has to do with data and technology. They are a true leader in the Internet of Things (IoT), the growing movement to connect anything and everything ranging from washing machines to printers to video games to automobiles to refrigerators to remote home management. It was unreal. So futuristic you’d think it was out of a movie. Everyone from everywhere was at this event. 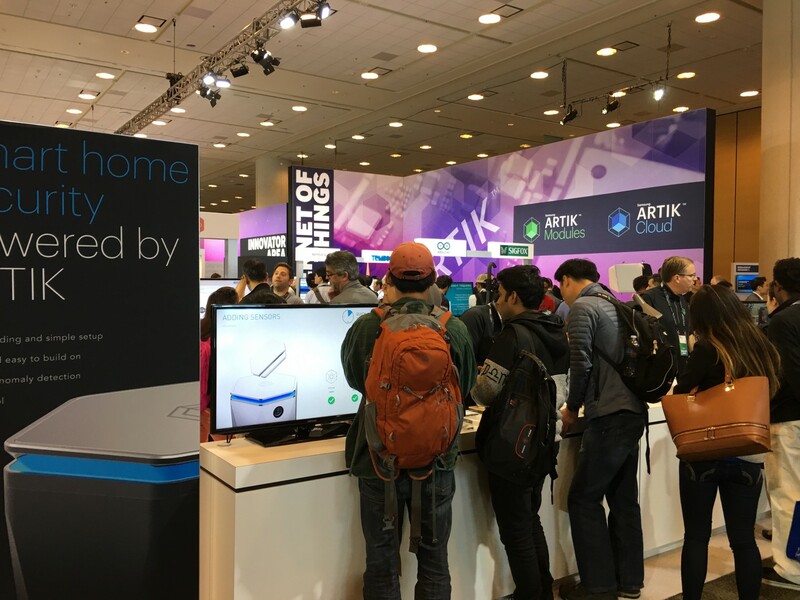 If you’re a developer and you want in on the biggest IoT ecosystem on the planet, you were at this event. I even saw developers from PaperCut partner ACDI. Scanning workflow companies like umango were there too. There were several imaging dealers that sent developers as well! In fact, I saw a pile of Ray Morgan business cards sitting in the print area. 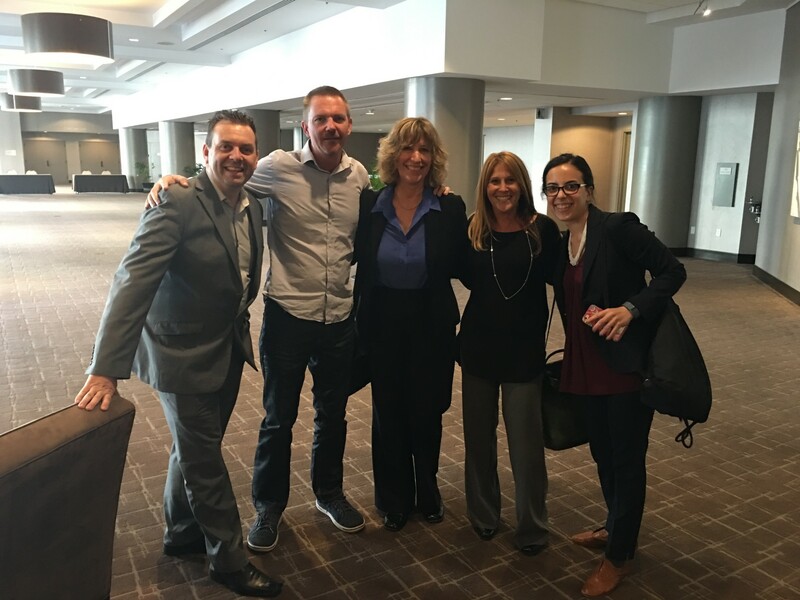 Never miss a sales opportunity! My personal schedule began a day before the show opened where I sat through an actual developer’s session for the print group. I was amazed at the ease with which these guys were able to develop apps in real time. This has less to do with the fact that Samsung creatred a great development program and EVERYTHING to do with the fact that they chose the Android platform. The strategy is proving to be a home run. Android is apparently super easy to develop to and almost anyone can learn how do to it. These developers were running simulators on their laptops to build mobile apps on both Macs and Windows computers. They could actually see mobile device outlines on their screens and built them in real-time, right there in front of me. Once developed, they were able to upload to the MFP user interface and try them out. Just like that. Pretty sweet. The next day I was treated to a solo walk through of some of their mobile apps. Nothing I haven’t seen before, but I got a better understanding of how they worked as they had me physically run through their Dynamic Workflow with my own hands. Once you do it yourself it begins to sink in. Here’s something new I did learn. 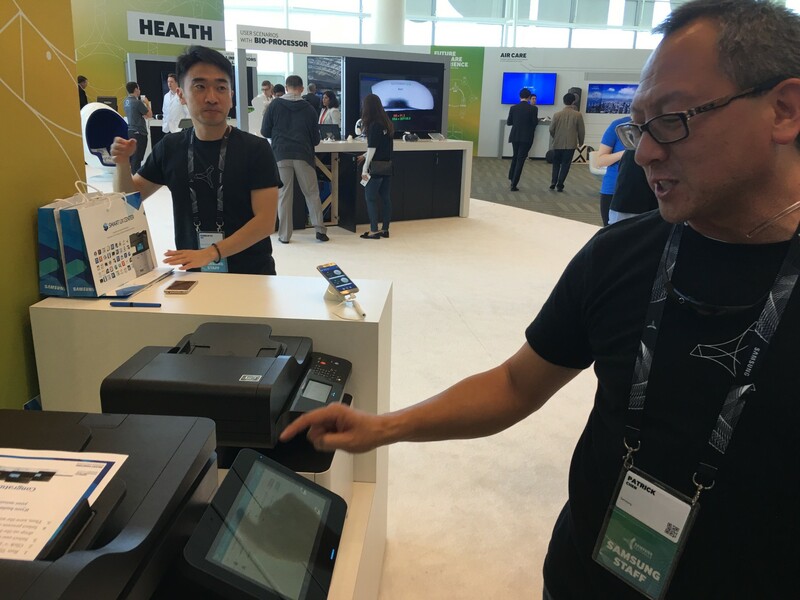 Samsung offers a growing number of “free” apps that are bundled with the copier/MFPs, including the Dynamic Workflow I played with. And this isn’t some foo foo free app given away with the intention of getting a customer to buy a premium version. This is fully functional and incredibly useful. If I was still selling copiers I might completely change my sales approach and build it around this workflow app. Seriously. The app draws on other apps and allows you to combine their features and build from them. Think about using a mobile scan function, sending it through another OCR program and then distributing to multiple people from a single process built right on the screen in seconds, then saving it so you can use it again. Very useful. This was the first time Samsung’s print group was included in the developer’s conference. It’s amazing to see how Samsung is tying everything in the world together. It’s almost scary the amount of data they’re dealing with and it’s about to explode exponentially. If you’re already sick of hearing about IoT, then bury your head in the sand because we’re only just getting warmed up. The things Samsung is doing for the auto industry will make drivers greener and safer. What they’re doing with their TVs is amazing and I bet more than half of you have at least one Samsung TV already. They’re Galaxy phones are now outselling the iPhone. They’re doing stuff that would blow your mind. The 4D gaming was very cool. 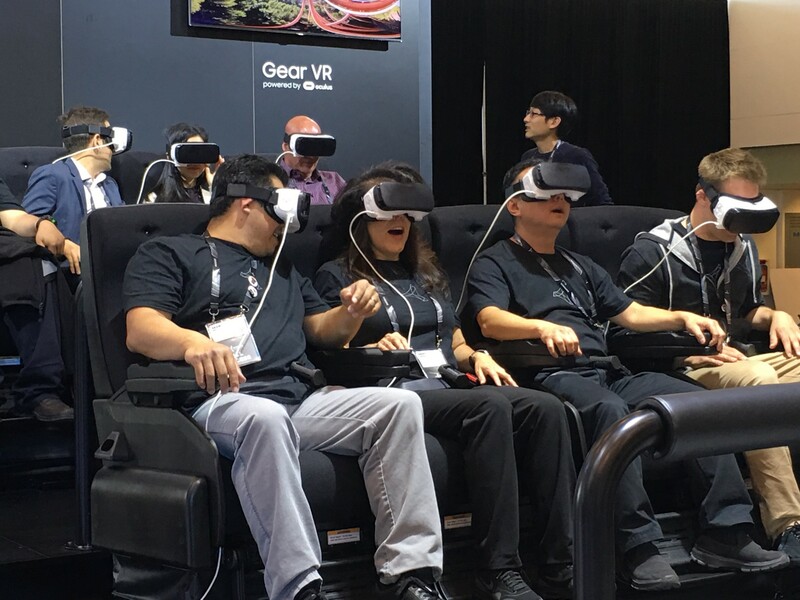 They’re doing other things that tie into gaming and/or virtual reality experiences that amazed me. Their Smart Home strategy will bring you a level of convenience and security that has never existed before. The technology I saw was incredible. I put on a headset and held a piece of plastic with a wire coming out of it (linked to a Galaxy phone) on the back of my neck. I had nothing on my eyes. When the demonstrator moved the phone side to side I felt like I was rocking on a boat. When he moved it forward and back I felt my body moving forward and back – even though I was just standing there not moving. Then I put on the lenses, placing me on a roller coaster, at which point I almost threw up. When I had that mask on I could look in all directions seamlessly. It was wild. They’re into music, creating a platform that competes with Apple as they go after that industry and try to give musicians better, more sophisticated tools. A DJ came out during the general session and gave us a quick performance on the gear and it was really cool. Samsung is putting sensors onto telephone poles to monitor seismic activity (yes I know what that means) and sounds. Their 360-degree cameras may eventually be placed everywhere, helping to make the world a safer place. They had so much going on there it was unreal. And the general session was SLICK. Presidents and senior executives from so many divisions would blow our minds for about 10 minutes before seamlessly handing off to the next exec, all with incredible visuals on the 6 massive monitors behind the stage. Everyone was exhibiting at this event, and I’m not talking print. I mean everyone. CNN, The Weather Channel, Reddit and so many more. Smart homes, smart cars, smart everything. Samsung is building it and they are coming. 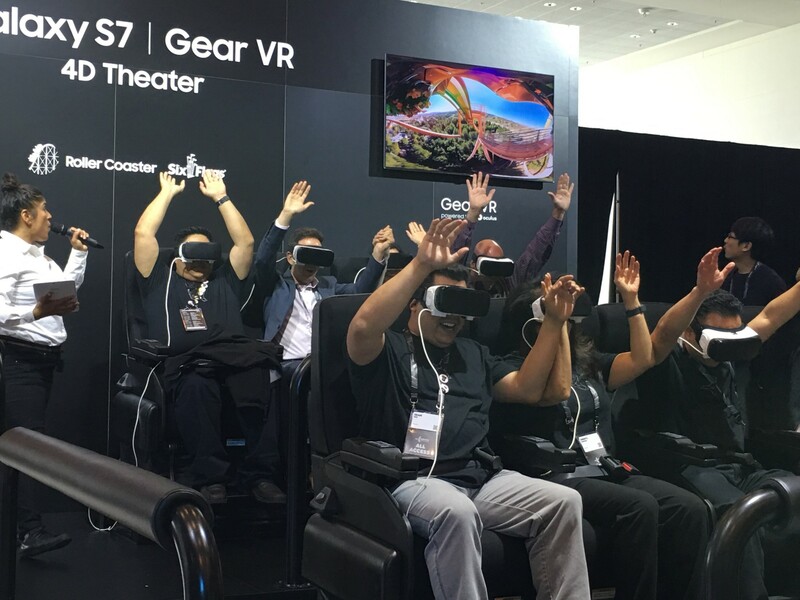 This event showed me why Samsung won’t fail at print. They may stumble, they may struggle, but they really may eventually become the major player they want to be in the imaging world. 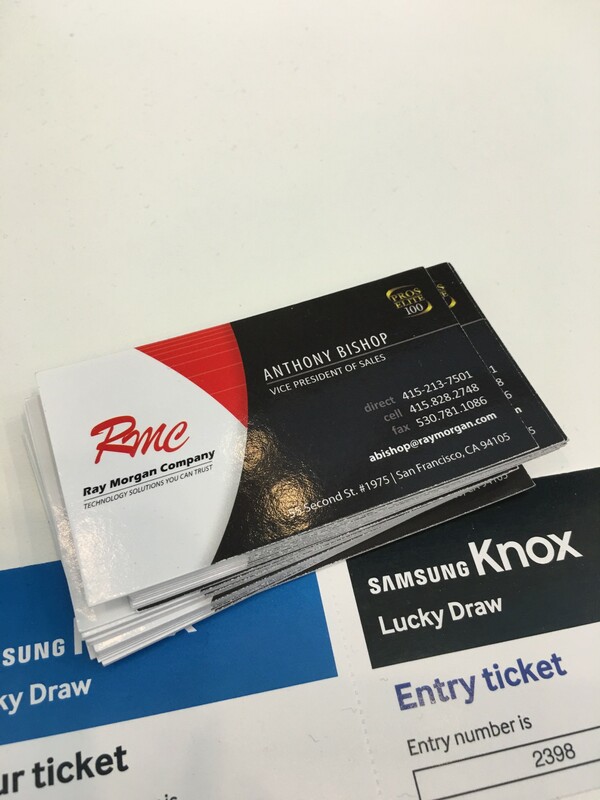 Samsung is working at a higher level than any other company in our industry and the print group is tying into this. While this may not mean much now, down the road it will pay huge dividends. Choosing to put an Android tablet on their MFPs was brilliant not only because it provides a major wow factor and is incredibly easy to use. That’s just peanuts compared what this will mean down the road, which is, that Samsung will soon have an app store filled with apps not from just traditional print management and ECM partners, like everyone else. They’re actively courting developers from anywhere and everywhere to see if they have any ideas on what they could do with these MFPs through the use of apps. I have no doubt companies from outside our industry will find great use with these MFPs from the apps they develop. Who knows, Samsung may even take my recommendation to put speakers in these devices. I mean, if I have a Bluetooth speaker in my bathroom ceiling fan, why now in my copier? Especially when there’s a web browser on it. In the end, Samsung still has obstacles if they want to be the premier brand with their imaging dealers. I don’t see how they can displace Canon/Konica Minolta/Ricoh/Xerox without a production print line, which they don’t have in their immediate plans. Do I think Samsung dealers are ready or need production hardware? No. All the dealers that need these devices already have them from their primary brand. I don’t think any brand cracks the top three or four without this, no matter how nice their UI is and how great their apps are. However, their strategy and connection to the IoT will continue to help them grab market share from the leaders. B2B is very different than the consumer market and Samsung is highly focused on this channel, not just in print but everywhere. There are a lot of obstacles and challenges, but after seeing the overall company vision, I find it very unlikely that they will fail. They may struggle. They may take a step back for every two they take forward. But at the end of the day, they will not lose. Thanks for the invite to this event Samsung, you blew my mind. 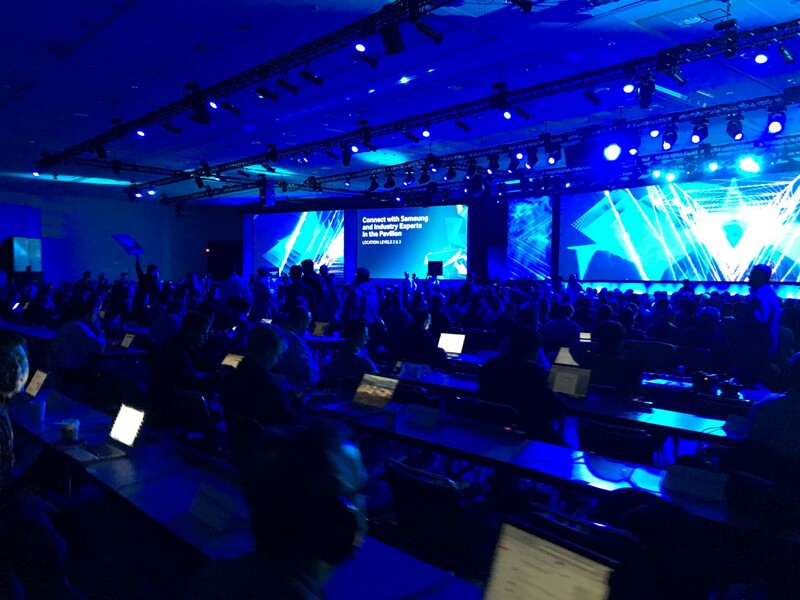 This entry was posted in Uncategorized and tagged developer's conference, samsung by andyslawetsky. Bookmark the permalink.